Experience music that blends the past, present and future into a deeply felt, extremely positive listening experience. New Age Rock n' Roll for the Soul. Experience music that blends the past, present and future into a deeply felt, extremely positive listening experience. New Age Rock n' Roll for the Soul. Featuring Jeff Pevar of CPR and Scott Allshouse of Max Creek. This CD is dedicated to Peggy Phoenix Dubro and the EMF Balancing Technique. 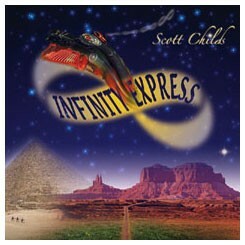 You will LOVE the music of Infinity Express! !